*First class Kebab Machines , 100% Made in TURKEY. *WORLDWIDE CARGO within 2 days. 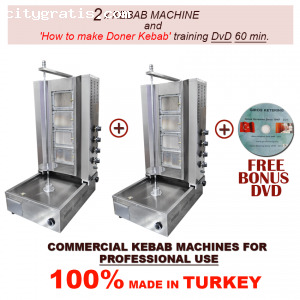 *Chef Training CD(How to make Doner Kebab) FREE! !